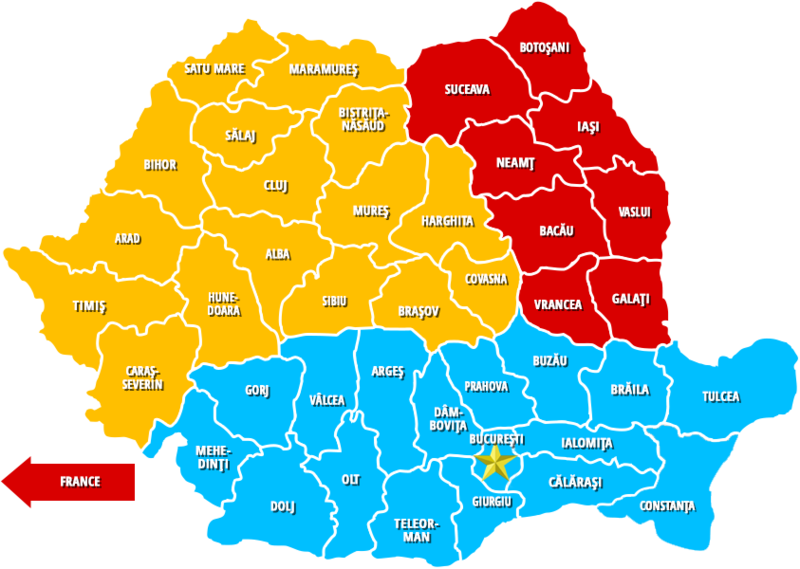 Vrancea County is part of Moldova and important national personalities were born here like Anghel Saligny, Mincu Ion, Gheorghe Tattarescu, also places to visit like Focsani, Panciu and Odobeşti as winery zones. Local brand are Galbena de Odobesti and Feteasca Neagra de Jaristea. Here is the county of Vrancea !